We spoke to Grainne Powell, CEO and Artistic Director of Sticky Fingers, about this award winning arts organisation and its multi-functional activities. 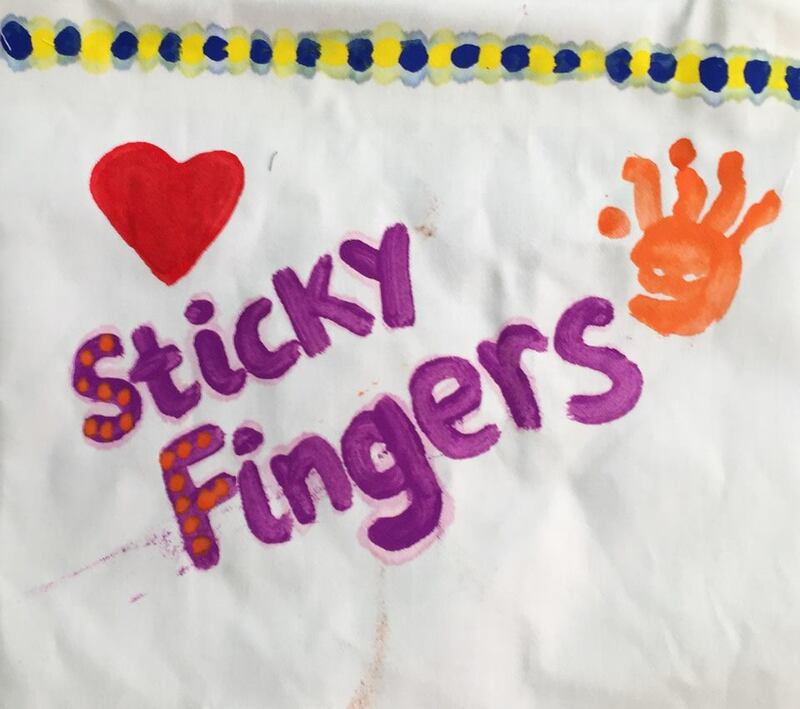 Established in 2002, Sticky Fingers was one the first children’s art programmes in Northern Ireland. In its early years it focused on pre-school children, which was a new focus for arts in Northern Ireland. 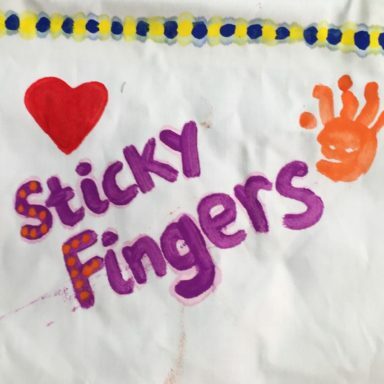 Sticky Fingers emerged from a children’s art project in the 1990s aiming to support children impacted by the conflict associated with the Northern Ireland Troubles. Grainne explains: “It had a life expectancy of 6 weeks initially, set up as a project to support children…specifically in North Belfast…Initially the funding was from Peace I and later Save the Children…we worked in traumatised communities…gave support to young children to help them to cope with what they were dealing with. It grew from that”. The organisation has developed and grown steadily since establishment. A renovated old mill in Newry is home to Sticky Fingers since 2017. This provides space for expansion of activities, such as the ‘Imaginarium’. Developed by a team of artists, this is an interactive experience where fuel for children’s imagination abounds. A few of its highlights include exploring secret tunnels, sailing on a rocket ship or searching for trolls and fairies. Sticky Fingers also runs an arts café, workshops, training programmes, events and a children’s theatre. It plans to further develop the building to give the organisation additional capacity. Sticky Fingers delivers its impressive array of work with a core staff of just 14, as well as regular help from a range of local artists, interns and its advisory board. One project Sticky Fingers is well known for is the Giant’s Lair at Slieve Gullion Forest Park. 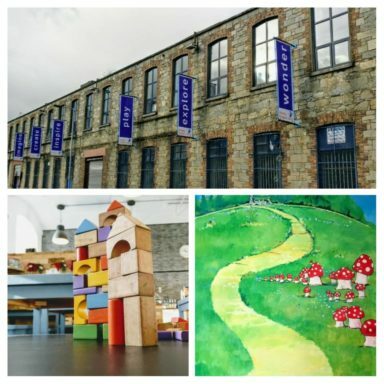 Inspired by local legends and folklore, this children’s art trail and living storybook is a popular cultural attraction that has sparked international interest. Its success has led to Sticky Fingers working on other similar projects and sharing its experience internationally. It plans to develop an international touring exhibition based on the Giant’s Lair. An accompanying book of fairytales has also been developed. Sticky Fingers’ diverse range of activities builds up to reduce the organisation’s reliance on arts funding. This forms the basis of a more sustainable business model. It also draws on a range of funding sources, perhaps not traditionally harnessed by arts organisations, such as from the Northern Ireland Department of Agriculture, Environment and Rural Affairs. Grainne explains: “We have a relationship with practically every government department…We look at different government remits and how we can fit in”. The organisation not only provides children’s arts services, but is also involved in adult education and advocacy. The funding it received from the Department of Agriculture supported it to run a training programme with childcare professionals in rural communities. Another of its training programmes in Community Arts Management is aimed at artists. Grainne participates in working groups in Westminster and sits on the board of the national council for children’s art, Action for Children’s Art UK. Sticky Fingers is also part of a number international networks such as the World Congress for Children’s Theatre and Small Size, the European Network for the Diffusion of Performing Arts for Early Childhood.